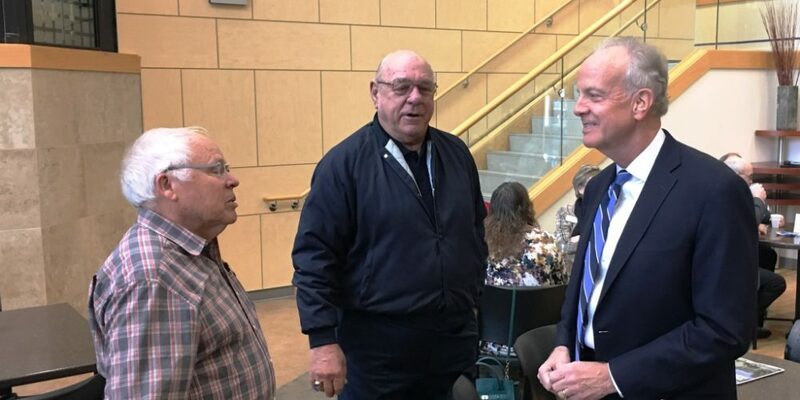 Sen. Jerry Moran, right, chats with Garden City Mayor Dan Fankhauser, left, and Finney County Commissioner Dave Jones on Friday morning during Moran’s visit to St. Catherine Hospital. 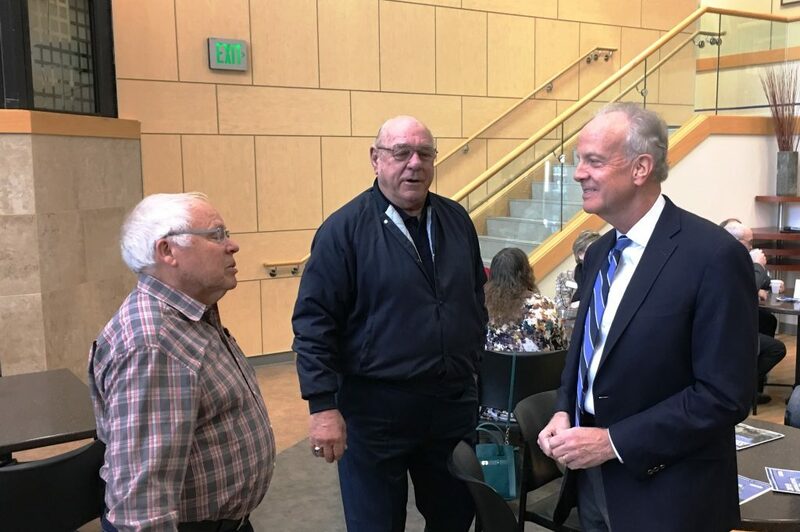 Sen. Jerry Moran stopped at St. Catherine Hospital in Garden City on Friday morning to talk briefly about some of the things going on in Washington, D.C., and stay in touch with constituents back home. “This week in particular, I was chomping at the bit to come to Kansas. I needed a dose of normal life,” Moran said. Commenting on the 35-day federal government shutdown over President Donald Trump’s demand for a border wall, Moran said he didn’t think the shutdown made any sense and said there should be a way for both sides to reach conclusions that are satisfactory. Currently, a bipartisan committee is in place to try to reach a deal and avoid another government shutdown. Moran supports that committee’s effort and believes it can reach an agreement. Moran said that he and other Congressional leaders have expressed the idea of adding things to the mix that are attractive to both sides, such as fixing the DACA (Deferred Action for Childhood Arrivals) system, and might bring people together on a comprehensive immigration reform. “There are many aspects of immigration, including DACA, that there are enough votes to pass something. I think we ought to do the things we can do and continue to work on other things that don’t have the votes today,” he said, something that addresses a number of immigration issues and includes something for border security. “I hope there is a fix that avoids the mess of the last 35 days,” he said. On other issues, Moran brought up the Southwest Chief and said Congress has been successful in getting Amtrak to “not do the things we didn’t want them to do,” namely the idea of using buses on the route; but haven’t been as successful in getting Amtrak to “do what they promised” in putting up $4 million toward upgrading the track between here and New Mexico. Moran also praised a new program for veterans that eliminates a 30 day/40 mile rule for veterans seeking health care. Previously, veterans could only go outside the VA system for health care if they had to wait more than 30 days for an appointment or live more than 40 miles from a VA facility. The new rules and regulations that are currently being finalized will give veterans greater flexibility in whether to seek care at a VA facility or through the private sector, according to Moran. The change will also help stabilize rural hospitals and provide veterans care closer to home. 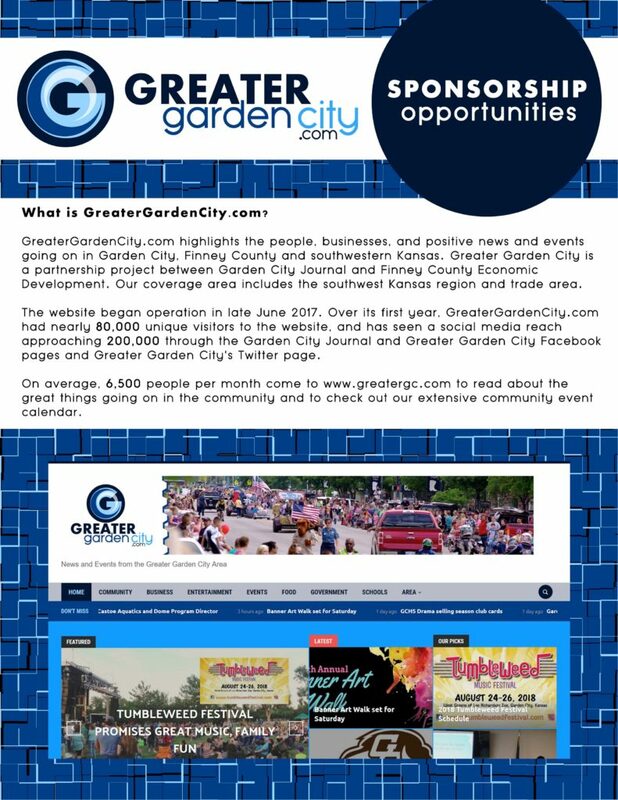 To sum up, Moran praised Garden City/Finney County and its continued growth, which is a model for other communities. Moran credited local growth to its strong local leadership. “I believe in the value of rural America. Many places worry about the future. Garden City has figured out how to have a future,” he said.